The Citroen 2CV was legendary for its design parameters. It had to be able to drive across a ploughed field, driven by a man with a hat on, whilst not breaking a basket of eggs. 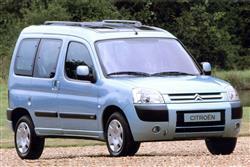 The Citroen Berlingo Multispace has found itself cast as the 2CV's eventual successor. Whilst unlikely to find itself representing an icon of rural Gallic charm, the Berlingo has its plus points. In a mini-MPV sector where mere appliance of the word 'lifestyle' is a passport to manufacturers ramping up the prices, the Berlingo entered at the bottom and aimed to stay there. With its commercial vehicle basis, development costs were minimised. Along with its rival, the Renault Kangoo, the Berlingo Multispace inhabited a niche pioneered by miniature glazed Suzuki vans of the past. It may be relatively cheap, but a used Berlingo does cheerful very well. Basic rugged transportation has always been a French forte. Citroens 2CV and Dyane, Renault 4 and Peugeot 104 all offered inexpensive motoring that could just as easily be repaired by the local blacksmith or plumber if anything went wrong. Things have changed, and although the Berlingo Multispace evokes the same appeal, its range of engines are modern injected units that wouldn't respond well to a tap with a lump hammer. Nonetheless, it shares its spiritual forebear's sense of tinny indestructibility. 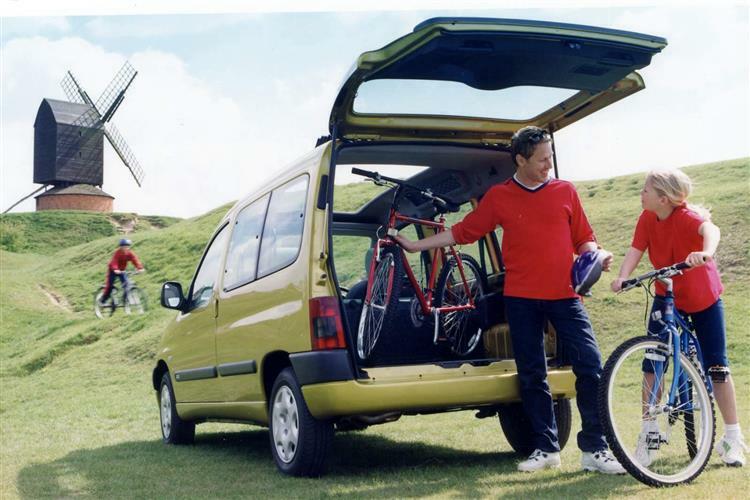 Introduced in June 1998, the Berlingo was initially available with the 1.4-litre petrol engine only. With a three-door body the only shape available, a 1.8-litre model followed in April 1999. The range was also added to in 1999 with the introduction of a diesel variant, the 1.9D. Berlingo model designations are as basic as the car itself, with models referred to by engine sizes only. 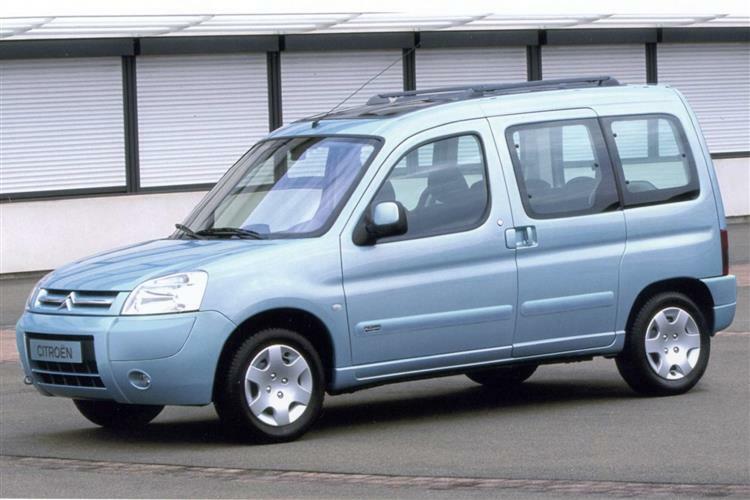 The first key change to the Berlingo range came in May 1999 when a mild facelift was applied. This took the form of a new grille, bigger Citroen chevrons, painted door mirrors, two-tone bumpers and new badging. More interior components became colour keyed, and the options list grew to the tune of anti lock brakes, air conditioning, passenger airbag and split fold rear seats. New colours were also offered, as well as the famous 20 sq ft electric sunroof. 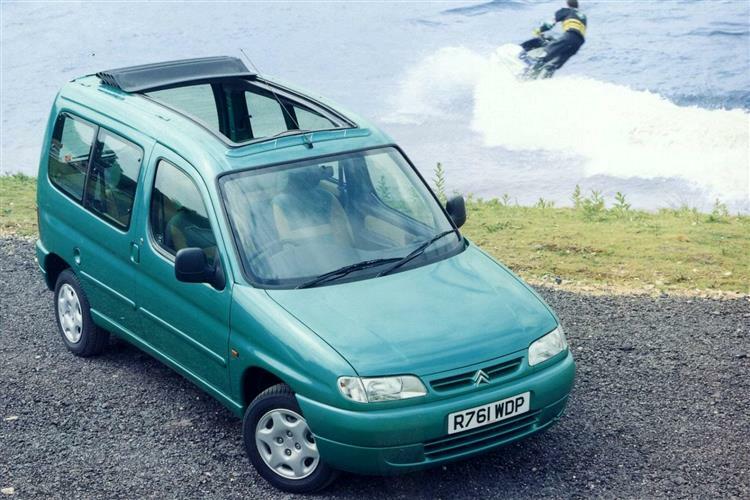 In summer 2000, the Berlingo overcame its most notable deficiency; a decided shortfall in its quota of doors. 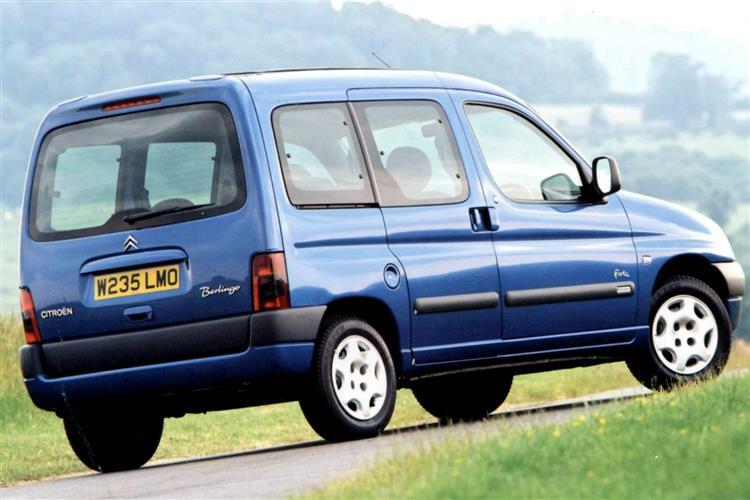 Unlike Renault's Kangoo, until 2000 the Berlingo Multispace was only available in three-door guise. The addition of a sliding side door now made access to the rear an easier proposition. A 1.6-litre 16v engine was also added to the range. The Berlingo underwent a mid-life facelift in late 2002, getting a far neater front end and some additional luxury accoutrements inside. In the Autumn of 2005, the aging 1.9D and 2.0HDi diesel engines were replaced by a pair of 1.6-litre HDi diesels with 75 and 92bhp. Some small styling changes were made at the same time. This depends on how you define practicality. If the term encompasses multi-folding seat arrangements, witty design and the latest high-tech engines, the Berlingo falls some way short. If, on the other hand, practicality means wipe clean surfaces, rugged cargo nets, huge luggage bins and a vehicle built to withstand a hard life, the Citroen will appeal. After all, if you are a current MPV owner, when was the last time you carried seven people in it? Or pulled all the chairs out? Shortly before the visit to the chiropractor? Most will never have done so. The Berlingo makes no attempt to cover these bases. A reinforced rear bumper allows the load bay to be piled up with heavy items, and the Multispace's van-based roots are betrayed by its ability to carry a payload of over 600kgs. With the rear seats folded down, there's over 100 cubic feet in the back, putting the load areas of big estates like Volvos and Merecedes' to shame. Drivers above the height of 6'10" may find front headroom a touch cramped, but for the majority of us, the roof soars overhead like a vaulted hall. Fifteen different stowage areas are dotted about the cabin, and can accommodate big bottles, loose change, maps, cups and just about anything else the average family needs to bring along. Above the front seats is a massive full width overhead shelf of vast capacity. Used buyers should check that the previous keeper hasn't left anything in these bins that could have slipped down to the back; items like prams or mountain bikes. The five-door model rectifies the greatest failing of the three-door, namely access to the rear. Whilst this is not bad, in actual fact the seat latching action is fiddly, and small children and dogs will find it far easier to vault across the seat into the rear, leaving the predictably muddy trail. The rear tailgate can double as a handy rain shelter when opened, and stands high enough for a party of six-footers to shelter under. Particular mention must be made of the optional 20sq ft electric roof. This is the Berlingo Multispace's one genuinely unique trick, and when opened transforms the feel of the car. There's a genuine al fresco, wind in the hair atmosphere that helps combat the greenhouse effect the big windows can generate. The kids will love it and it's so much more fun than pressing an air conditioning button. As with all cars that get used to ferry children back and forth, check for rips, stains and other damage to upholstery and minor trim parts. Despite being reinforced to cope with heavy loads, the Berlingo's rear bumper is only spray painted, and a good slide of, say, a washing machine over it will rub it bare. Check the integrity of the fitments inside as, unsurprisingly, the plastics quality used in the Berlingo probably wouldn't find their way into an Audi. On some of the cubbies it's possible for coins, keys and the like to slip between ill-matched mouldings and down into the fascia innards. The mechanicals are proven technology and shouldn't cause any significant worry. Despite this, check for its service history but otherwise what you see is pretty much what you get with a Berlingo Multispace. (Estimated prices, based on a 1.8i) Coming from a commercial background where spares prices are a more significant part of the buying process, spares are very reasonable indeed. A new exhaust system will be around £140, new front brake pads £50, with rears coming in at about £58. A new radiator is around £160, whilst a new starter motor will set you back approximately £250. Break a headlight on the school run and a replacement will be the princely sum of £64. Anyone expecting a vehicle based on a light van to offer a syrupy ride will be disappointed. Having said that, the Berlingo has the ability to convert all but the most sceptical. Especially in 1.8i guise, the Citroen is genuinely good fun to drive, with an acceptable amount of body roll in corners, and a fair amount of poke. Rest to 60 in 12.2 seconds may not worry the hot hatch brigade, but it feels much quicker in a Berlingo, especially with the roof open. The 1.8i will see 100mph under favourable conditions, although at this speed you'll need ear defenders. The Berlingo is slightly undergeared, and you may find yourself reaching for another gear whilst barrelling along in fifth. This contributes to the Multispace's surprising thirst. The 1.8i will return a combined fuel consumption figure of 31.7mpg, and to put that in perspective, that's less than some sporting cars such as the Honda Integra Type-R or Audi TT Roadster. For the most accomplished engine, buyers must turn to the post-facelift cars and the 2.0-litre HDi. This offers impressive economy and a muscular turn of speed. 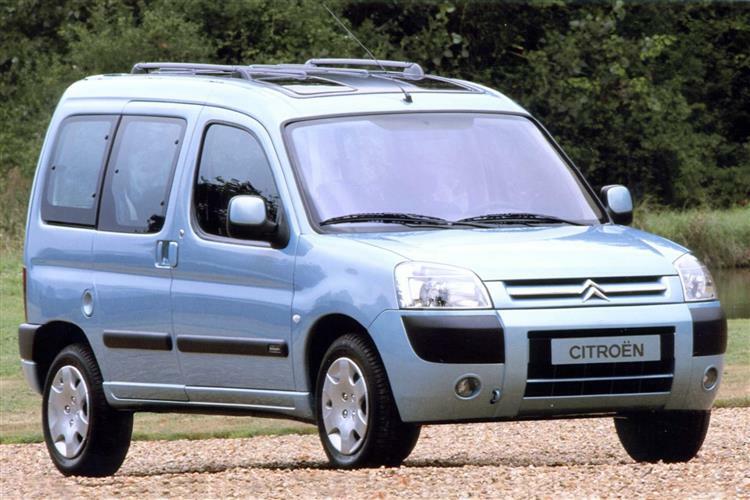 A used Citroen Berlingo Multispace is a cheap and cheerful way of transporting the family. It has a certain charm which helps you forgive its shortcomings. It's vast load area, no-nonsense rubber matting and many stowage bins means it can carry gear that far bigger vehicles would baulk at, yet is shorter and more manoeuvrable than a Honda Civic. Luxury touches are noticeable by their absence, yet somehow it doesn't matter. At the price, the Berlingo Multispace makes a great used purchase. The 1.8i is probably the best value and most fun to drive, as long as it's thirst doesn't seem too great. It's fun, the kids will love it, it's easy to clean and keep tidy and comes with a range of trustworthy engines. Don't expect a motorway slogger or a miserly fuel sipper and you'll get along with the Citroen just fine. Just think of it as a 2CV with more of everything for the new millennium.